I’ve had a few topics I’ve wanted to discuss but which didn’t seem meaty enough to fill a blog post on their own, so I’ve decided to cram them all into one Frankenstein monster post. I wanted to do a full review of the Venom movie, but as I’ve said before, mediocrity is hard to review, and I just don’t have much to say on the matter. It’s not a bad movie in general terms, but it may be a bad Venom movie. I’d expect Venom to be a very dark, gritty story, but instead it’s more of a light, campy romp. As light, campy romps go, it’s actually pretty fun, but it just doesn’t fit the character very well. I wouldn’t advise against seeing it, but it’s definitely not a must-see, either. 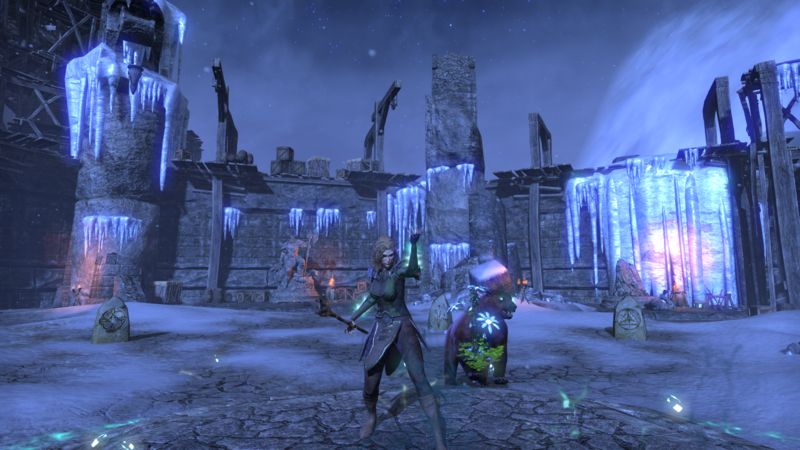 Despite my griping, I’ve been playing a fair bit of Elder Scrolls Online lately. This is in large part due to the fact Zenimax has been showering players with a number of incredibly generous giveaways as of late. It’s shameless bribery, and it’s working. Probably the most notable giveaway is the palatial Grand Psijic Villa home. Given how over-priced housing in this game usually is, giving away a house of this scale is kind of incredible. My previous home in the Rift and its yard could comfortably fit in the Psijic Villa’s main hall. My focus lately has been furnishing the new dwelling, which given the high costs in gold and crafting resources of furniture is actually quite a challenge. Not even sure why I’m bothering given the total lack of practical functionality for housing in this game, but there is something satisfying about it. It’s a pale shadow of the creativity I got to display back in Landmark. It has had the side effect of helping me learn to earn gold more efficiently. I’m trying to get in the habit of doing crafting writs every day. That’s easy money. Along the way I’ve been developing my crafting skills further. I had already maxed out woodworking, clothing, and blacksmithing a long time ago, and I’ve now maxed my provisioning skill, as well. Enchanting, alchemy, and jewelry crafting are lagging behind, but they’re a good source of writ income if nothing else. While the story of Summerset may have disappointed me, it remains a beautiful zone, and Alinor is a very conveniently laid out city, so I’ve made Summerset my “home” for the time being. 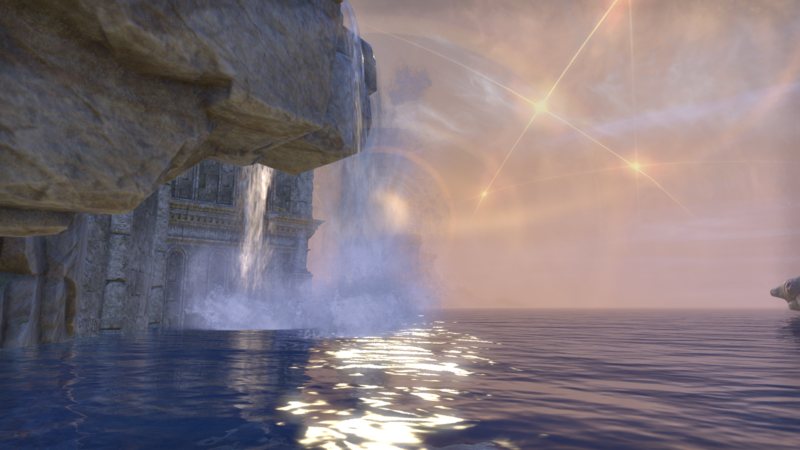 I spend most of my time there, doing dailies and farming. I’ve also been playing my warden a little. Oh, yeah, I have a warden. Don’t think I’ve mentioned her before — probably because I haven’t played her much — but yes, I have a High Elf warden. When I pre-ordered Summerset, I got Morrowind for free, and while I haven’t explored its content yet, I did want to try out the new (to me) class. The warden marks my third attempt to play a pure caster, the previous being a Khajiit dragonknight and a Breton nightblade. It finally seems to be sticking this time. I think it may be because I’m building this one as a healer. One interesting — if possibly unbalanced — quirk of healers in ESO is that they use largely the same stats and gear as magicka DPS, meaning there appears to be little penalty to doing both on the same character, which is exactly what I’m doing with my warden. One action bar uses a resto staff and is pure support, while the other uses a destro staff and is pure damage. One thing I’ve learned from D&D is that a hybrid of support and damage may just be my ideal RPG playstyle, or at least as close as someone as indecisive as me is ever going to find. Finally, I recently finished reading through the physical copy of Varric Tethras’ Hard in Hightown. 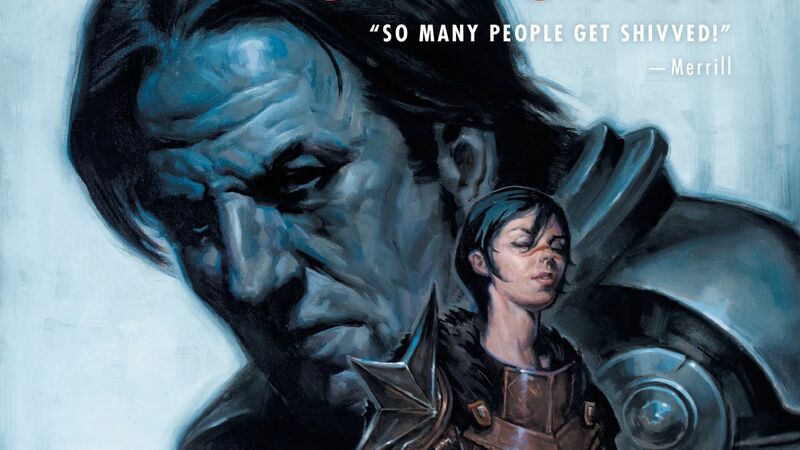 Yes, the book you can find chapters of in Dragon Age: Inquisition. It’s a real book in the real world now. Well, for a certain definition of “real book,” anyway. There wasn’t actually that much effort put in, sadly. The whole thing is only about seventy pages, and it’s barely been fleshed out any more than the chapters you could find in Inquisition. In the end it’s more of a gag collectible than a book that’s worth reading on its own merits. It does have some cool illustrations, though. This entry was posted in Games, Reviews and tagged books, Dragon Age, Elder Scrolls, fantasy, movies, review, sci-fi, The Elder Scrolls Online, Venom by Tyler F.M. Edwards. Bookmark the permalink.